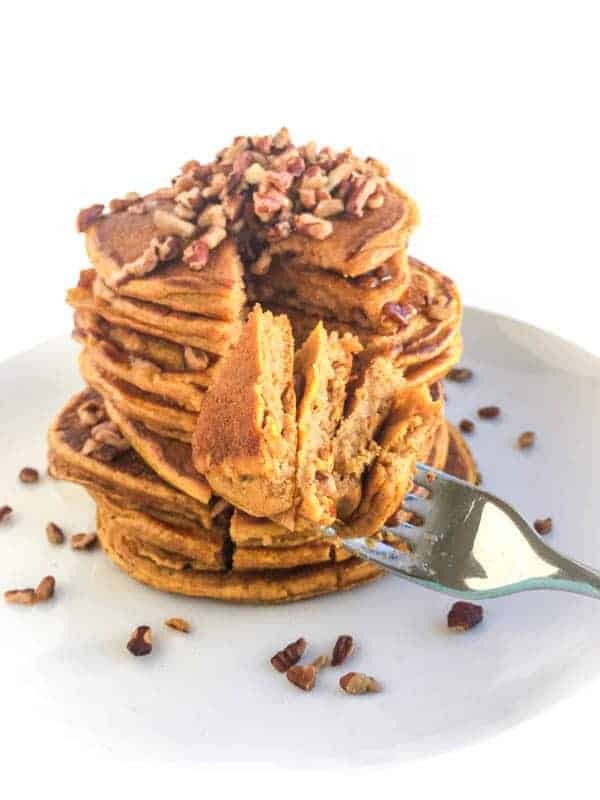 These light and fluffy buckwheat pancakes are naturally sweetened with banana and scented with cinnamon and nutmeg. The ultimate weekend breakfast recipe! 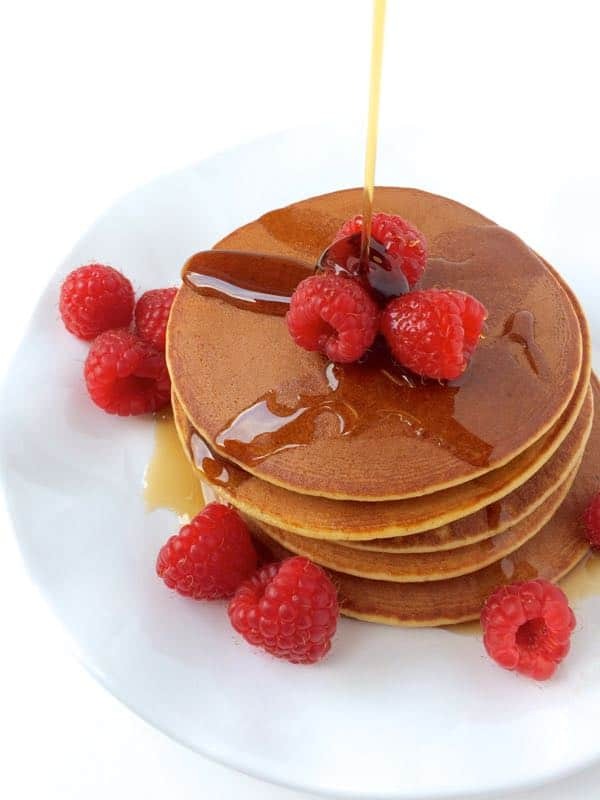 One of my favorite ways for getting ahead before a busy week is whipping up a hearty pancake breakfast on the weekend. Since pancakes are freezer friendly, I always double the batch to have breakfast ready to go later in the week. Since we do eat pancakes a bit more frequently, I try to make them as healthy as possible. For me, that means a couple things. First, I always use a whole grain flour such as buckwheat flour which is packed with protein, fiber and nutrients. Second, I don’t add in any white sugar to sweeten the pancakes. Instead, I stir in a mashed, ripe banana that sweetens the stack naturally. 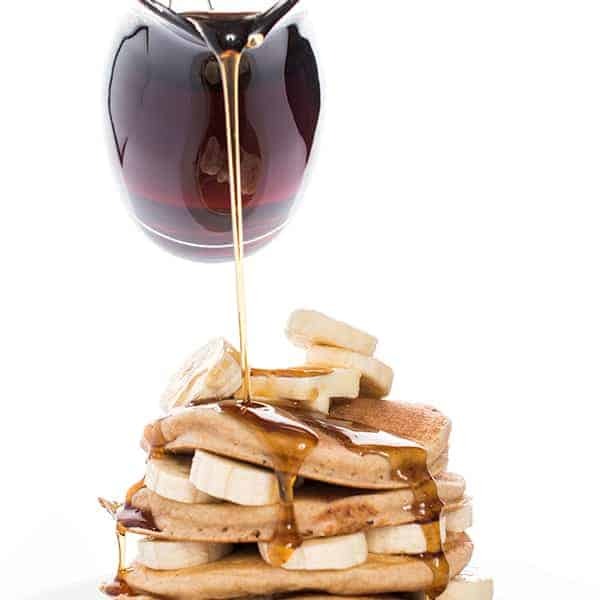 Of course, you’re still more than welcome to drizzle with pure maple syrup but they are tasty on their own. When reheating from the freezer, I like to toast them in the toaster then spread on a little natural peanut butter. The topping options are limitless. Pre-heat nonstick griddle over medium-high heat. In a medium bowl, whisk together all ingredients (pancake mix through salt.) If the batter seems too thick, add a little more milk or water. Pour batter on hot griddle, working 1/2 cup at a time. 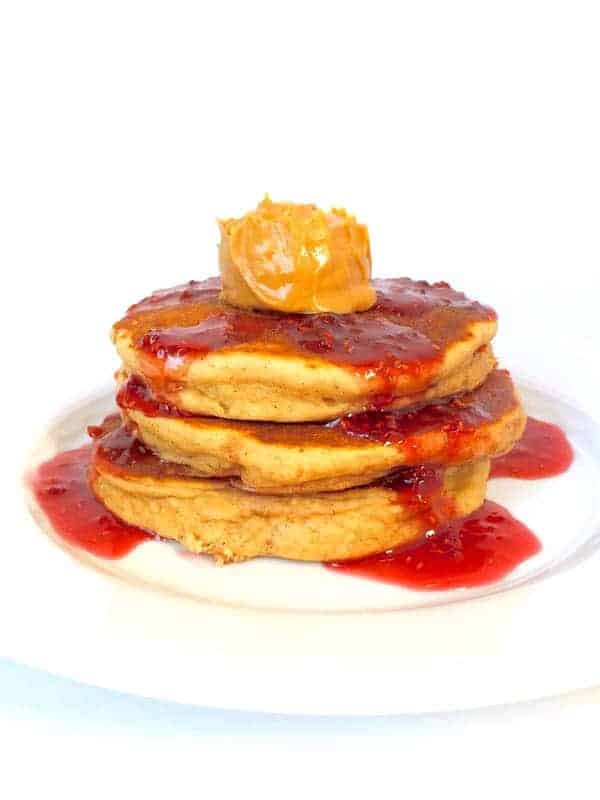 Cook until pancakes are golden brown, about 2-3 minutes on the first side and 1-2 minutes on the second side. 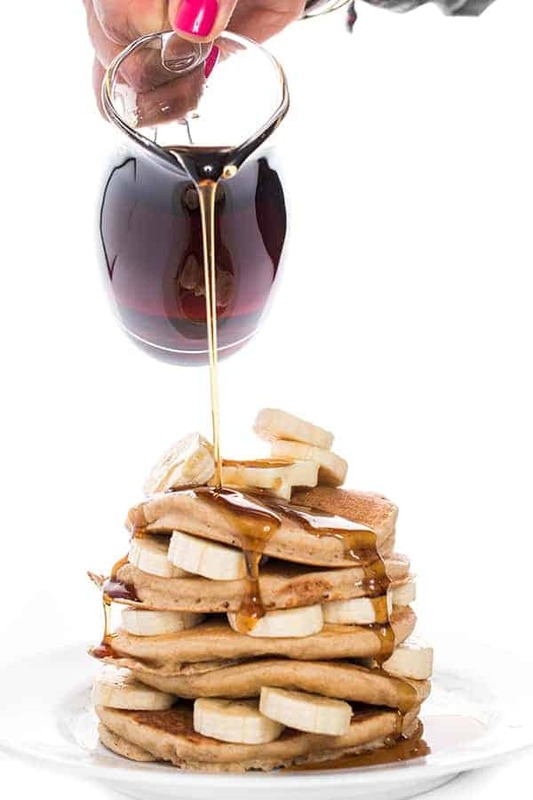 Serve with maple syrup, butter and additional banana slices if you wish. Buckwheat tends to absorb the liquid as it sits so if the batter starts to get too thick to pour, simply add more milk or water. Pancakes are very freezer friendly! 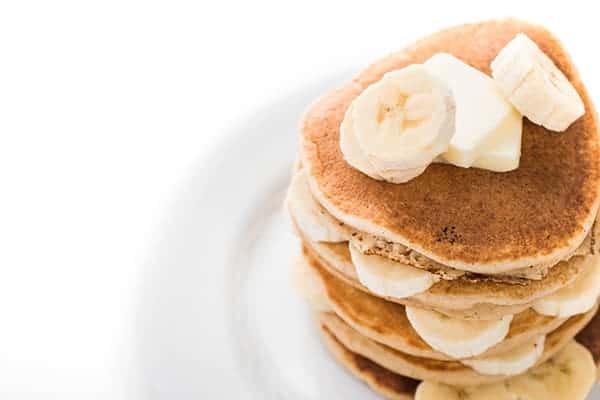 Check out my tips for freezing and reheating pancakes. 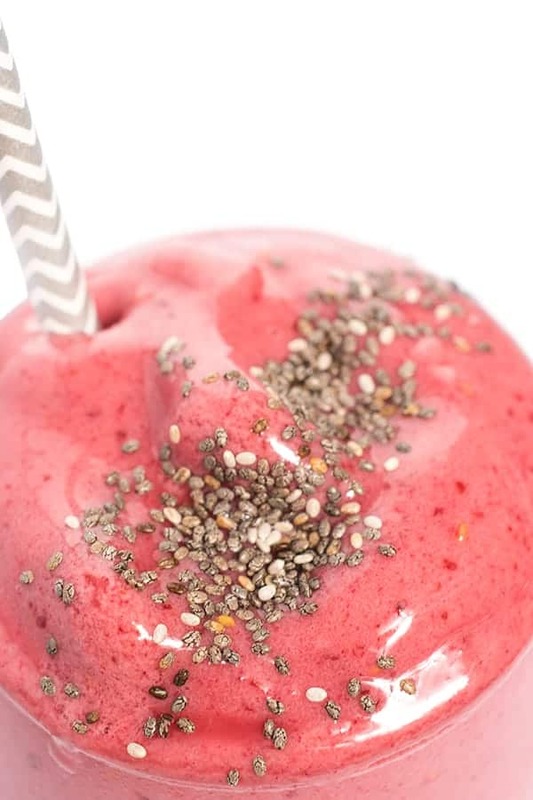 Check out more healthy breakfast recipes on my Pinterest board! I went to college in the early-mid 70’s, in California, and all off the hippies ate buckwheat groats, and lentil loaf and you get my drift. 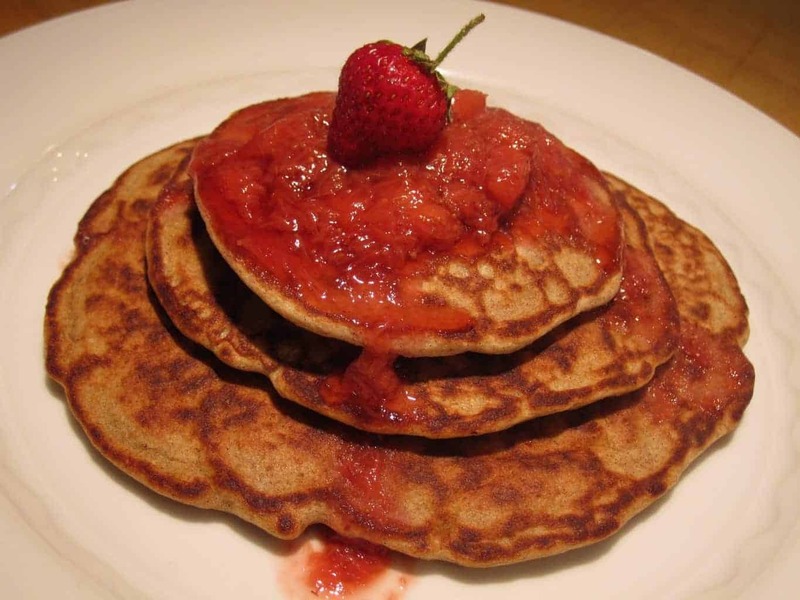 I got so sick of buckwheat, even the smell, but when I made pancakes for my kids when they were growing up, I loved using buckwheat flour. And it goes so well with bananas and cinnamon! Brings back memories! Beautiful photos. hahah that is so funny!!!! I love hearing that story!! 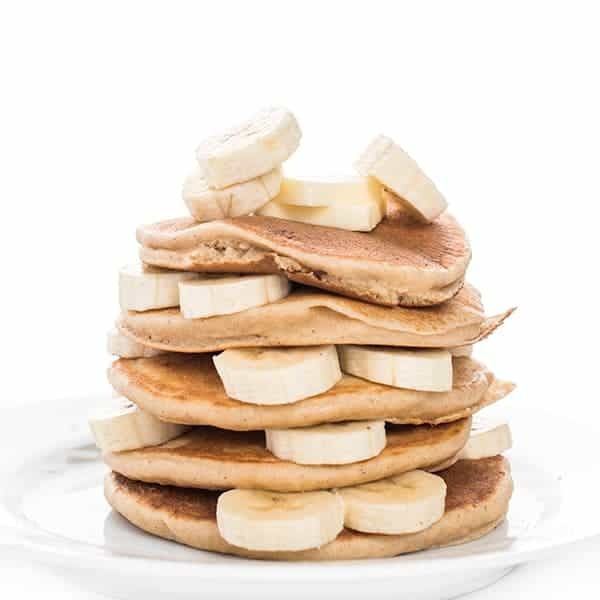 I love the idea of layering the bananas between the pancakes! They look so good! !